Actor Nani, who disappointed his fans a bit with his last two films, is hoping to strike back hard this time. 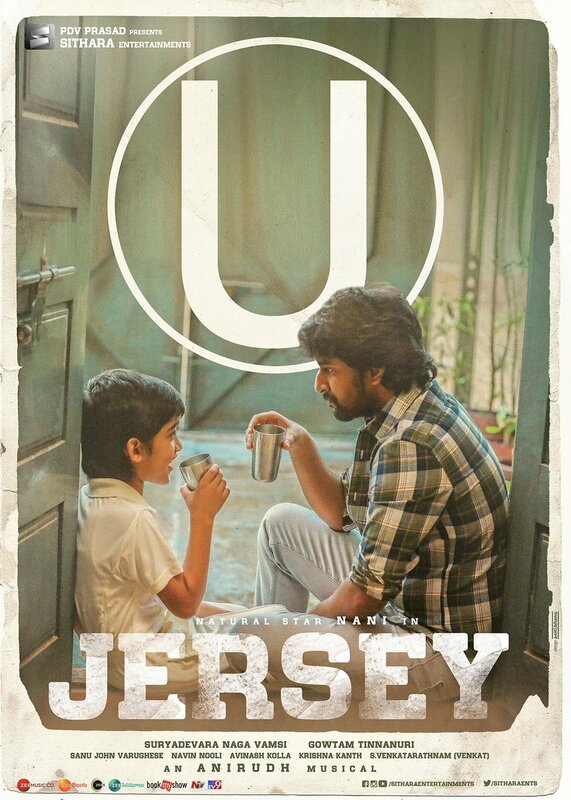 His latest film Jersey looks extremely good and there are only positive reports circulating in the industry, about the film. The recently released theatrical trailer also got a good response from the audience. The film has completed its censor formalities the other day. It has been awarded a clean U certificate with zero cuts, from the board. The pre-release event of the film was held last night in Hyderabad where Victory Venkatesh has attended as the chief guest. Everyone from the team spoke high about the film. Jersey chronicles the life of a middle-aged man who tries to revive his career as a cricketer. Directed by Gautham Tinnanuri of Malli Raava fame, this film features Shraddha Srinath as the female lead. It will release worldwide on April 19th. Anirudh Ravichander has composed the music for it.